Pioneer Web Technology INDIA are a young "start-up" company with the desire to be the best and produce the best results. We are people in the business with solid principles, where everyone benefits: customer, employee and company. We started in 2001 with two persons and only few clients. From the very beginning, we have serviced numerous top level companies, executed the most demanding projects and churned out masterpieces. We have a good balance of designers, programmers and leaders. Our diverse talented team is our greatest asset. We have a base of technical consultants who can design pages for clients wanting simple, brochure-quality internet advertising or for clients wanting high class complex online business applications. 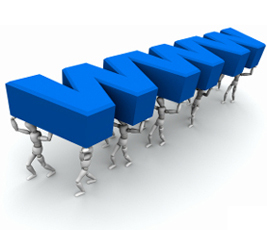 The diversity and size of our team helps us to produce results that are better than a smaller web development company. Quality management, technical website analysis, high end graphics, user friendly website navigation, e-business insights. We have a network of latest Pentium IV and higher computers. We are online for 24 hours a day with a dedicated phone line for internet. 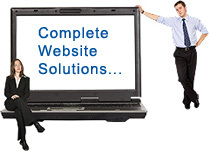 Our all systems are equipped with web servers. We check all our scripts be it ASP, PHP, Perl or Java Scripts offline and then put them online. We use the latest techniques and software's to remain in the lead. Some of our favorite tools are Visual Studio .net and Macromedia Dreamweaver. We code in ASP, JSP, PHP, ASP.net etc.